I landed in the watershed of a new river, the Conemaugh (my 1051st river); on to another new river, the Kiskiminetas (1052nd); on to the Allegheny (6th hit); on to the Ohio (116th hit); on to the MM (725th hit). There is no definite interpretation of the origin of the name. According to regional historians in the area, the name has historically had several possible meanings, including: “river of the big fish,” clear, clean stream of many bends,” and “plenty of walnuts.” One possibility is that the name comes from Gieschgumanito, signifying “make daylight” (likely a word of command, given by a warrior to his comrades at night to break up camp and resume the journey). Another possibility – the Indians called this river Kee-ak-ksheman-nit-toos, signifying ‘cut spirit’. 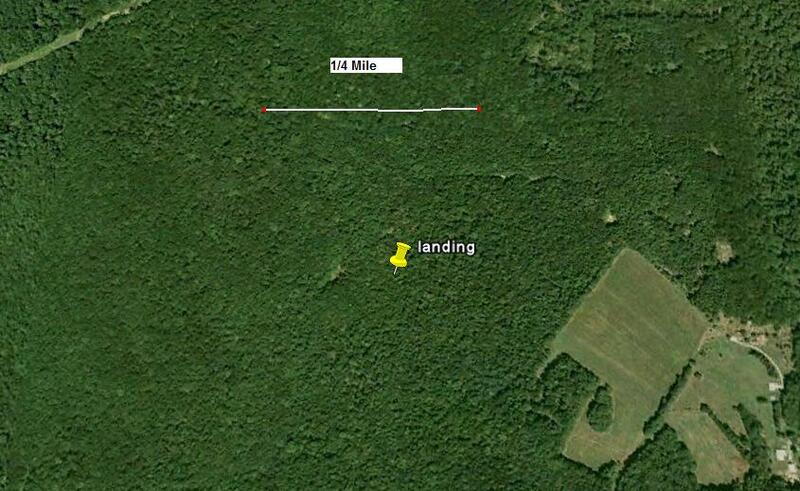 Here’s my GE shot, showing that, as for several recent landings, I landed in the middle of the woods! In particular, we looked at long-wall mining, which is where this huge coal-eating machine cuts a wide swath through a coal seam. 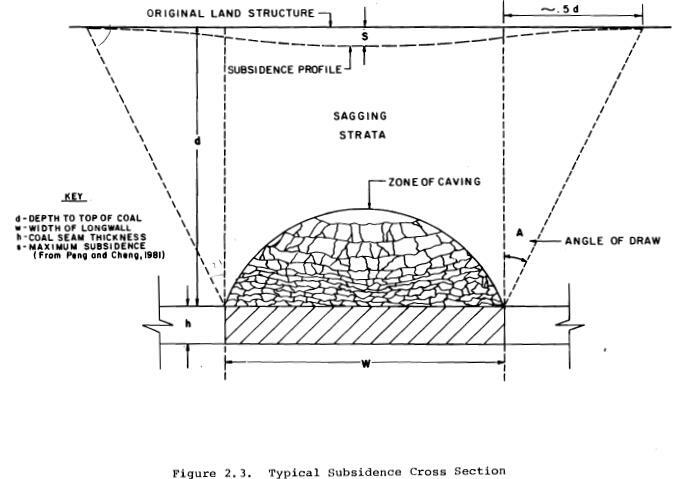 For our project site, the coal seam was about 5 ½ feet thick, and the swath was 585 feet wide. 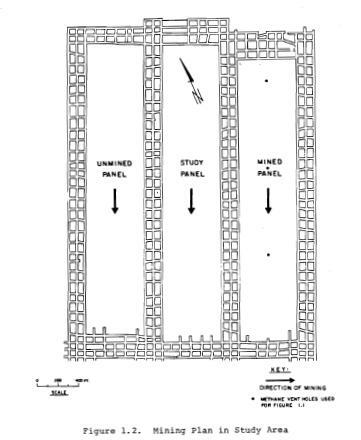 The coal seam was located about 550 feet below the ground surface. The coal is conveyed off to the sides (where passageways through the coal already existed), and then up to the surface. Behind this huge machine, no attempt is made to prop the mine open, so it simply collapses. In the study area, this machine kept going for 2900 feet, before they dismantled it and set it up to do the same thing elsewhere. 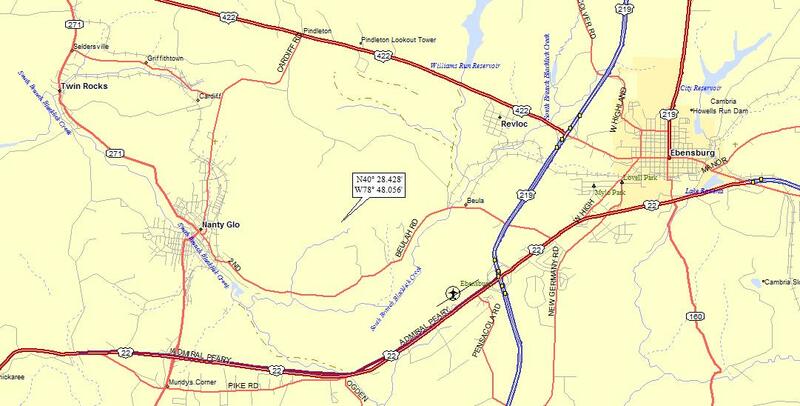 The overall mine extends for many miles in all directions. Quite the operation, eh? As one might expect when the mine collapses behind the machine, the land surface actually subsides; and all sorts of cracks develop in the rocks between the mine and the surface. Here’s another page from the report, showing the subsidence. Well, if a homeowner has a water supply well (which might typically be 100-300 feet deep), it is drawing water from those very rocks above the coal seam. Once all of the cracks open up, water tends to drain vertically down into the mine (where, to prevent flooding of the mine, it is pumped up to some nearby river or stream). Anyway, this can cause wells to go dry, as all of the groundwater drains away. 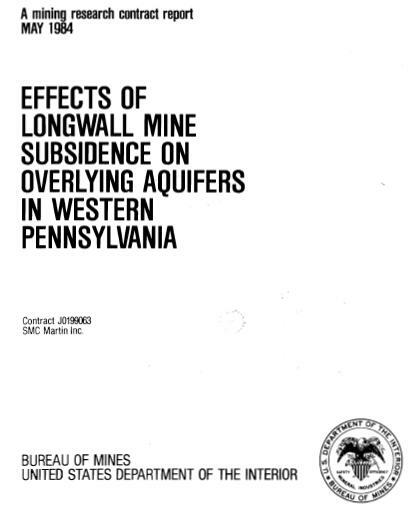 So, in our study, we put in a bunch of monitoring wells over the longwall mining study panel (before the mining began), where we kept track of water levels. We also hired a surveyor to do regular surveys of the land to check on subsidence. We did a bunch of other stuff, too detailed for me to go into now. 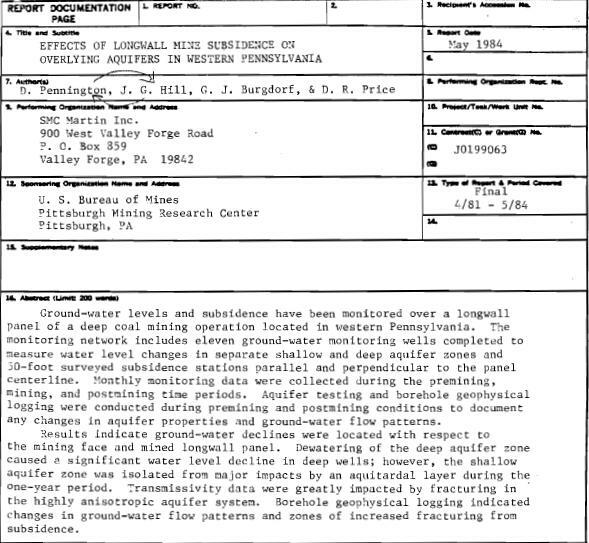 We ended up with a 130-page report that showed a maximum subsidence of nearly 2’ and a maximum drop in the groundwater level of over 150 feet. Here’s a postscript to the story: I left the company (SMC Martin) just before the report was finalized. But I supervised (and participated in) all of the field work; I wrote essentially the whole thing; I designed all of the graphics, put together all of the tables of data, etc. After I left the company (which I did on good terms, by the way), my stupid boss saw an opportunity to give himself some publicity. So he listed himself as the primary author!!!!! Here’s the abstract page of the report. You can see the arrows I drew, switching the authors . . .
I’ll guarantee that he wouldn’t have pulled that if I had stayed with the company. I can’t tell you how angry I was about that! Even though it has been more than 25 years, just thinking about it makes me angry again. The project went on for about two and a half years, and I poured myself into it. So, Dennis Pennington, wherever you are – shame on you! 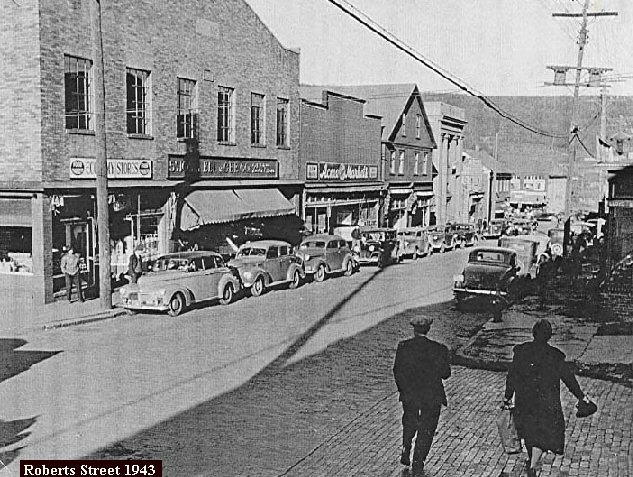 When coal was king: State records indicate that Cambria and Somerset County mines employed 21,300 workers in 1950, compared with only 1,280 in 2000. 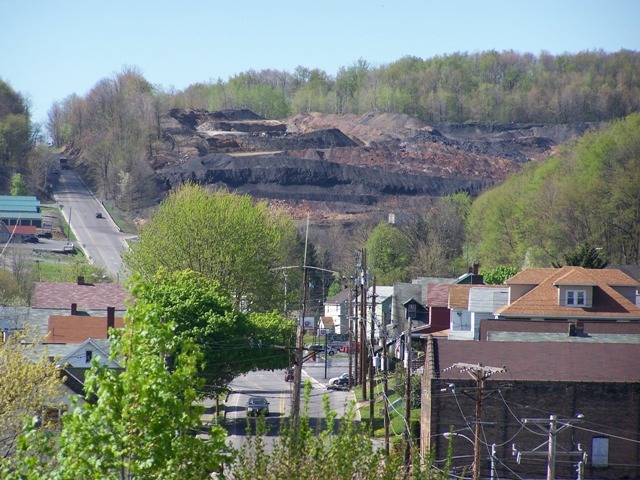 Cambria County in 2000 produced 2.3 million tons of coal, of which all but 56,590 tons came from surface or “strip” mines. 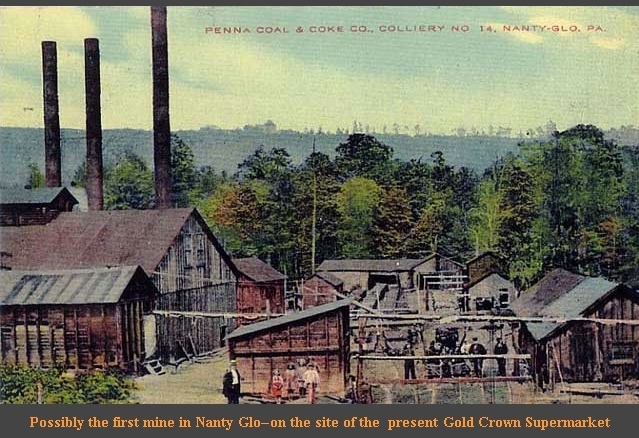 In the heyday of coal mining in the area, almost all that was produced was converted to coke to fuel steel furnaces. Now, the coal produced is used almost entirely to produce electricity. And, how did Nanty Glo gets it’s name? It’s Welsh for Valley of Coal. In fact, there’s a town called Nanty Glo in Wales. 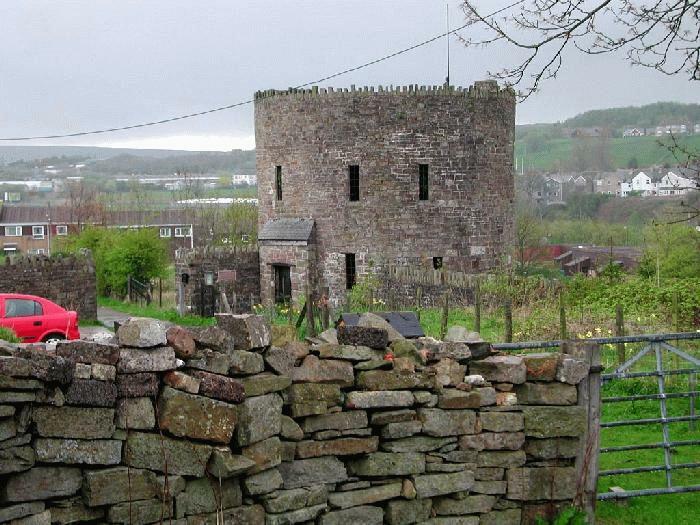 The Round Towers at Roundhouse Farm in Nantyglo, Wales, were built by industrialists Crawshay and Joseph Bailey, who, by the early 19th century controlled much of the iron resources in the region, including the massive iron works at Nantyglo located about a mile south of Brynmawr. Fearing that their workers would one day rise against them, in 1816 the Baileys built the last fortified tower in Britain as a place of refuge against a potential worker’s revolt. Today these ruins stand as unique and important reminder of the region’s industrial strife. So, Nanty Glo isn’t the only town in Wales with a namesake in PA – Bryn Mawr is a Philadelphia Main Line town, and home of Jody’s [my wife’s] alma mater, (of course), Bryn Mawr University. Interesting that we Yanks tend to take a one word Welsh name and make it two . . .
1937. 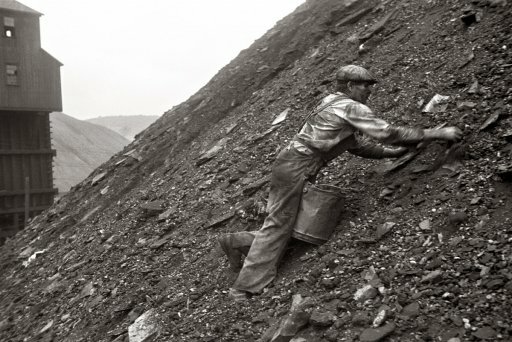 Salvaging coal from the slag heap at Nanty Glo, Pennsylvania. Coal pickers get 10 cents for each hundred-pound sack or two dollars a ton. One man can make from 10 to 20 sacks a day. Photograph by Ben Shahn. I’d like to see the second car get out of that parking space. Here’s a recent picture of a “boney pile” (a pile of mining waste), just outside Nanty Glo. …And we are going to bike through them! You can too (if you dare). 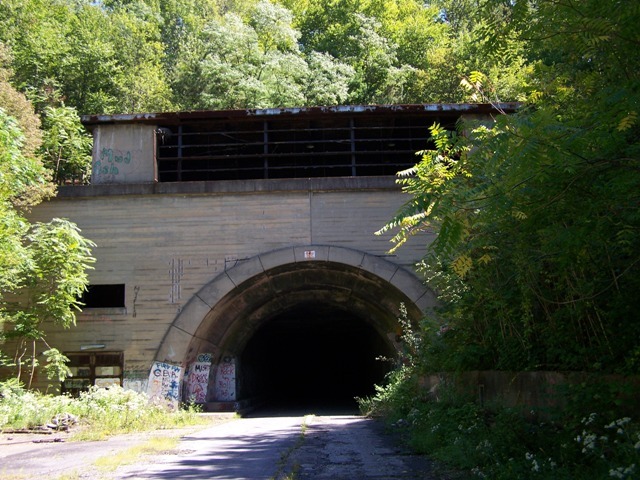 Hard to imagine, but this tunnel carried two-way turnpike traffic (as did all 7 tunnels until sometime in the 70s when two of the tunnels were abandonned and five new tunnels drilled so that all tunnels carried one-way traffic). I remember as a kid (on vacation, coming from Illlinois and then Ohio to visit family in New Jersey and go to the Jersey shore) when we might have a big truck behind us and a big truck in front of us and then have a stream of big trucks coming the other way. It made Ma nervous, but Dad and I loved it.